Beanstalk can integrate with your BugSnag account, allowing you to mark errors as resolved in BugSnag on each successful deployment. 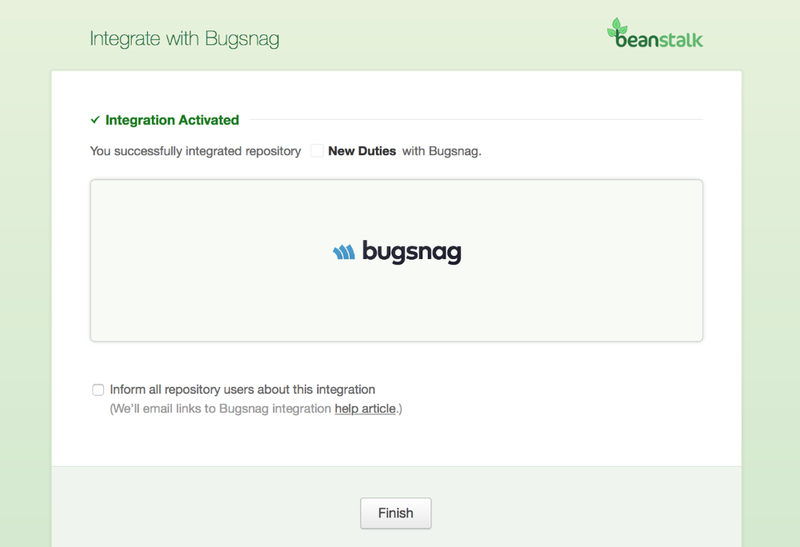 In order to integrate Bugsnag with Beanstalk, you need to enable the Bugnsag integration within your repository. To do this, go to your Repository, then Settings → Integration → Bugnsag. To get started with the setup, click on Bugsnag icon, and then on Activate integration button on the resulting page. Enter your Bugsnag Notifier API key. Your API key can be found by logging into your Bugsnag account and navigating to the desired project you want to integrate with your Beanstalk repository. Under the project, click Settings at the top right of the screen. Your Notifier API key is listed on the following page. Plug in the Notifier key in your Beanstalk account and the integration will be setup. Click Finish and you are all set. Once the integration is active, Beanstalk will notify BugSnag about every successful deployment of your repository. 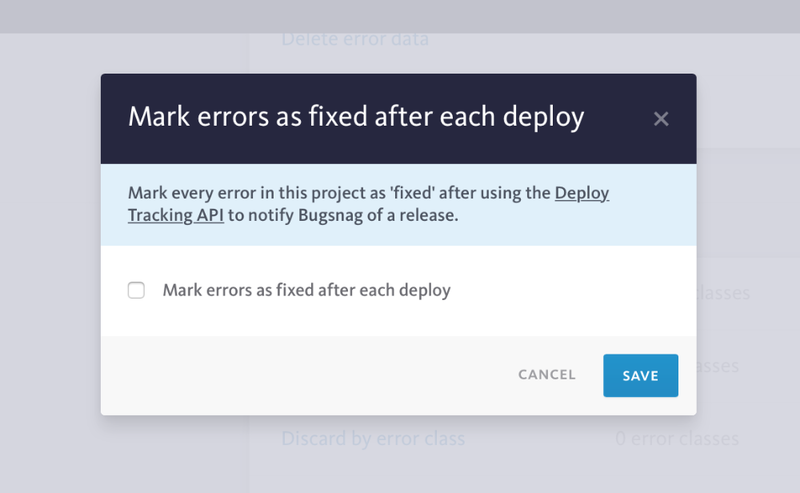 BugSnag can then log the deployment (you can find a list of deployments for each BugSnag project under the Deploys section), and mark all currently open errors as resolved. In order to do this, you will have to enable this option under Project > Settings > Automation. Now you'll see the error marked as resolved after a successful deployment.